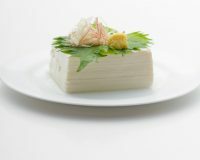 In Japan, tofu has been used for various cuisine favorably since the old days. It is because of its light taste hence it goes with many different dishes. 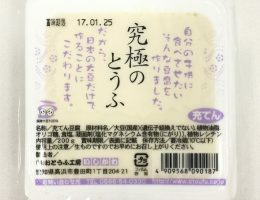 This delicious tofu is made from soybean 100% made in Japan. Cold tofu is a dish that simply serve the tofu with chilled spring onion pieces and ginger with a little bit of soy sauce.